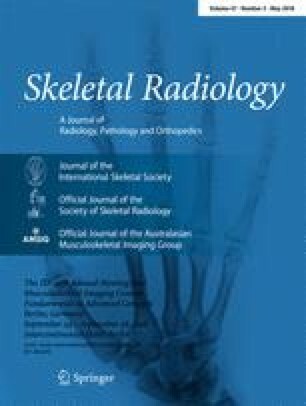 To describe the typical features of lipoma arborescens on MR imaging with pathologic correlation and to evaluate the associated lesions within the joints. The MR imaging findings of 32 patients with the diagnosis of lipoma arborescens of the knee (n=32) and shoulder (n=1) were reviewed. The diagnosis of lipoma arborescens was confirmed by the histologic findings in 12 cases and the other 21 cases were diagnosed by the characteristic MR imaging features. One patient had bilateral lipoma arborescens of the knee joint. MR imaging showed a typical pattern of villous lipomatous proliferation of the synovium in all cases, as a diffuse pattern in 79% (26/33) of cases and as a dominant mass-like lesion in 21% (7/33) of cases. The associated MR pathology in the knee was (n=32): joint effusion (100%), degenerative changes (87%), meniscal tear (72%), synovial cysts (38%), bone erosions (25%), chondromatosis (13%), patellar subluxation (6%) and discoid meniscus (3%). In all cases except two there was associated pathology of the knee. MR imaging showed an associated rotator cuff tear in the lipoma arborescens of the shoulder. The characteristic MR features of lipoma arborescens allows an accurate diagnosis of this rare lesion, which is almost always associated with other chronic pathology of the joint in the elderly.